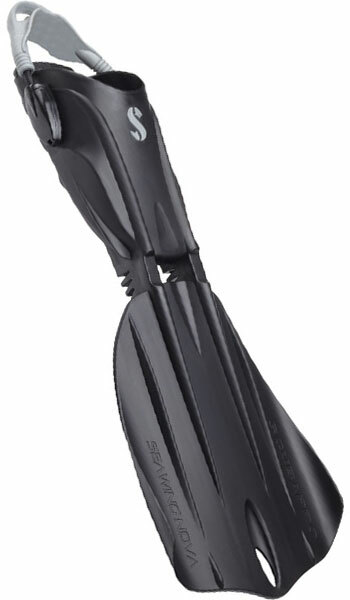 The successor to the famous SCUBAPRO Gorilla fins of the 1980s, this new version of the award-winning Seawing Nova has been fine-tuned to provide a slight increase in stiffness and snap. They give you more power, more speed and even better frog-kick-ability while at the same time ensuring they still offer the legendary comfort and efficiency of Seawings! 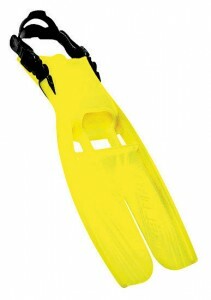 The GORILLAs are ideal for those diving in demanding conditions! Discover the power of the Twin Jet Maxsplit fin by SCUBAPRO. 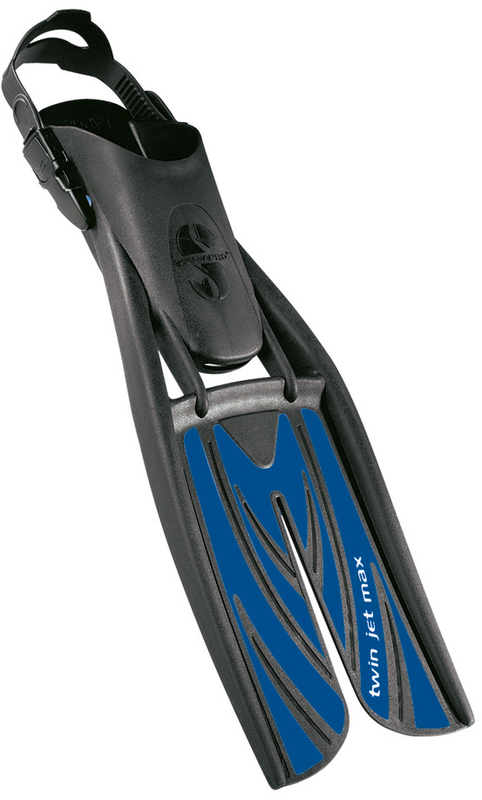 The Twin Jet Max Fin features apatented split-hydrofoil shape to deliveroptimum power with minimumeffort, plus dual-compound construction, which enables SCUBAPRO to fine-tune performance and optimize maneuverability and diver comfort. 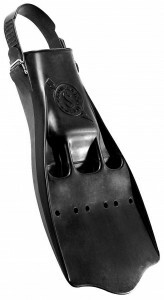 There are three primary variables to consider when selecting a fin: power, efficiency and fit. The more water a fin moves, the greater its kicking power. Furthermore, fins that transfer a greater percentage of a diver’s kicking effort into forward motion are considered to be more efficient. 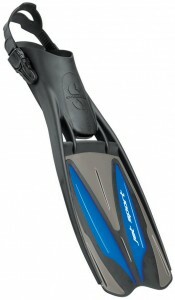 TWIN JET MAX FINS do just that! Quick release easy adjust buckles. Semi rigid side rails for blade stability throughout kick. 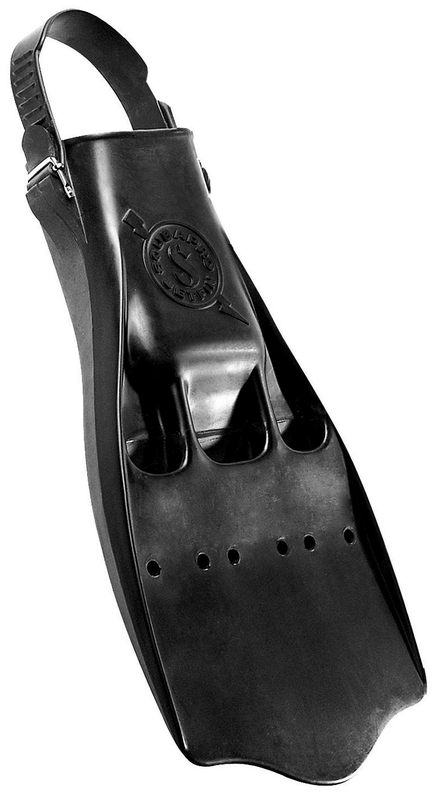 Bio-engineered soft foot pocket for seemless energy transfer. Vented area for hydrodynamic superior flow during upstroke. Bi-material blade for ideal blending of flex and performance.